Compared to other cities of Tamil Nadu, Madurai is a much more fast developing city in terms of business and economy. There are various sectors like agriculture, banking, exports, information technology, airlines, real estate and manufacturing industry, which are making a steady business in Madurai. Due to increase in city’s economy, the job opportunities are also very good. Moreover, people from other states in India migrate to Madurai for setting up their business for its business friendly environment. Being a popular tourist and Industrial city, the business and economy in Madurai is at great heights. The chief business in Madurai is agriculture. 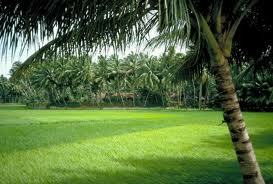 Being an agrarian city, Madurai produces major crops such as paddy, millets, pulses, cotton, oil seeds and sugarcane. The department of agriculture aims to increase the productivity land. There are about 6 66,354 farming population in Madurai city. Moreover, these crops are sent for export to neighbouring countries of India. In recent years, the IT industries in Madurai have made a great mark in the state economy. The growth and development is tremendous, which the major IT areas like software development, human resource, Business Process Outsourcing (BPO), accounting and data entry industries are at high rates. Some of the important multinational companies in Madurai include Honeywell Technologies India, Satyam, Oracle, HCL, Sutherland Global. Moreover, Tamil Nadu Government has projected IT Special Economic Zones (SEZ) – two zones in Madurai. They are fully occupied by the leading IT companies. Apart from this, RR Industries has developed an IT township of about 400 acres of land in Sholankurini. 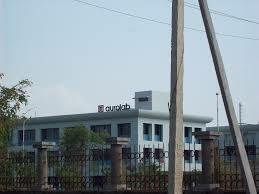 Madurai has become a major IT hub most sought after Chennai and Bangalore in South India. The second major share of the city’s economy is from textiles. Being famous for fine painted, zari bordered and sungidi saris, Madurai has a stiff competition in South India market. Tourists from all over the world throng to Madurai shopping areas to purchase a collection of pure cotton saris. Madurai is very famous for jasmine. Moreover, people all over Tamil Nadu refer the best jasmine as ‘Madurai Malli’. The size and enchanting fragrance of madurai malli mesmerizes the entire crowd. Jasmine cultivation is done near Madurai - foothills of Kodaikanal. The demand is all over India, which Jasmine is exported to Salem, Delhi, Mumbai, Kochi, Bangalore, Calcutta, Hyderabad and Thiruvananthapuram. It is exported to Singapore and Middle East for preparing perfumes. As the city is covered with huge temples, ancient architecture and mandapams, tourists from various parts explore Madurai for its rich heritage and culture. Moreover, the tourist department take special attention in every field for the visitor that is from place of stay to city tour. When compared to other districts of Tamil Nadu, Madurai remains as the most important district in terms of industrial development.Some of the major companies making a steady business in Madurai are TVS India, Fenner, TAFE, etc. Moreover, the recent survey by CII (Confederation of Indian Industries) has reported that Madurai city has high potential to be converted into a ‘manufacturing hub’ in South India as well as the city can be endorsed as a the best tourism corridor and knowledge gateway of South India. The growth has led to set up and development of many industrial estates in the city. It includes Hoisery Estates in Urangaanpatti, Automobile Industrial Estate in Kappalur, SIDCO Industrial Estate in K.Padur and Kappalur, etc. There is also number of small scale industries set up in all areas of the district. As the city is getting developed in various fields, the real estate market is at high peak. People in Madurai buy property for investment purposes apart from their residential or commercial usages. So there is a great competition in real estate business, which large builders and developers offer attractive investment options with valuable offers to the citizens. Some of the major competitors in the market are Jemi Housing, Ramesh Property Developers, New Kurinji Housing, etc.